Garden centers offer an ever-expanding array of fertilizers and soil amendments for flower gardens, but sometimes getting back to the basics is all the landscape needs. The manure of any vegetarian livestock can be a potential source of organic soil enrichment for the flower gardener. Besides being a natural source of fertilizer that farmers and gardeners have used for millennia, manure enriches the soil by improving its tilth and humus content. How Does Manure Help Flowers? The number one concern of most flower gardeners should be soil quality. Garden center aisles are lined with different fertilizer formulations, but these do nothing to improve the health of the soil. Although manure does contain nitrogen for leaf formation, phosphorus for plant metabolism and root support, and potassium for flowering, the real value of manure lies in its soil-building qualities. Manure can correct both clay and sandy soil conditions. It helps to achieve just the right amount of water holding capacity in the soil, yielding that fluffy loam that produces thriving plants that resist disease. Manure attracts aerating earthworms like crazy, who add to the manure party with their own deposits of worm castings. Beneficial microorganisms also flourish, outcompeting pathogens in the surrounding soil. The most common manure types used in the flower garden include cow manure and horse manure. Sheep manure is also a valuable addition to the compost pile, as it is particularly rich in potash. As a rule, the manure from grain-fed animals is higher in nutrients that that from grass fed animals. Poultry manure is the richest of all, so gardeners must compost it completely to avoid the risk of burning tender plants. Gardeners must never use the manure of carnivorous pets, such as dogs or cats, although rabbit litter is fine in the garden. Carnivorous pets can carry parasites that may pass to humans through the soil. Dispose of pet feces properly, and don’t allow pets to relieve themselves in the garden. Adding manure to the compost bin can heat up even the coldest of piles. The ideal way to compost manure is by mixing it with the animal’s typical bedding, which may be straw or hay. This provides the ideal blend of nitrogen and carbon that yields high-quality compost. The resulting compost will not have the strong odor fresh manure has. If no bedding source is available, add chopped brown leaves as a carbon source. The growing concern over E. coli contamination in livestock feces has some gardeners wondering whether it’s safe to use manure in the garden. Practicing proper hand washing and using gloves reduces, but does not eliminate, the possibility of illness from pathogens and parasites found in manure. Flower gardeners generally have less to worry about than vegetable gardeners do, unless they plan to use their blossoms as an edible food garnish. The hot composting process, when done properly, should generate enough heat to kill harmful pathogens like E. coli and salmonella, as well as parasites like tapeworms. In addition to avoiding cat and dog manure, gardeners should shun pig manure, which is more likely to contain pathogens harmful to humans. To err on the safe side, individuals with compromised immune systems may wish to avoid using manure in the garden. Although farmers commonly apply fresh manure to fields using manure spreaders, this results in lost nutrients through the escape of gases and the leaching of nutrients via rainwater. If the manure is applied fresh, the gardener must work it into the soil immediately so the nitrogen will remain where it’s needed. Fresh manure doesn’t have a place in an actively growing garden. The high nitrogen content can burn the leaves and roots of growing plants. 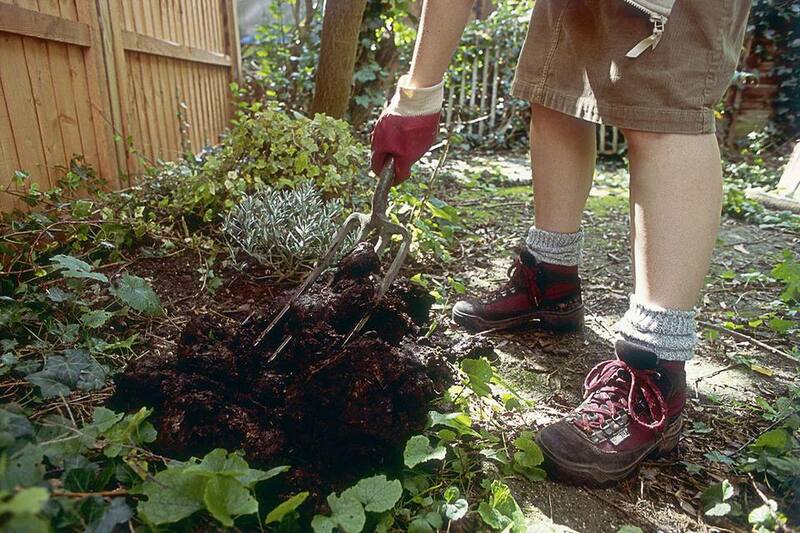 Gardeners may only apply fresh manure in the fall, allowing time for decomposition in the winter months. A single horse or cow can produce between 18,000 to 27,000 pounds of manure each year, so the organic gardener with a farming friend need look no further for a free manure source. Bagged manure from livestock is common at home and garden centers, and saves the gardener the trouble of the composting process. Gardeners living close to a zoo may inquire about the availability of manure from exotic vegetarians, such as elephants or rhinoceroses. Some zoos even package this manure and have an annual sale to raise funds for the facility. Manure and tea are two words that sound like they should never be paired, but this nutrient-rich liquid can be a quick source of liquid fertilizer for flowering plants. Fill an old towel, rag, or pillowcase with a shovelful of manure, and tie the cloth shut with twine. Soak the manure in a bucket of water overnight. Use the nutrient rich tea to water flowers, container plants, and even houseplants.